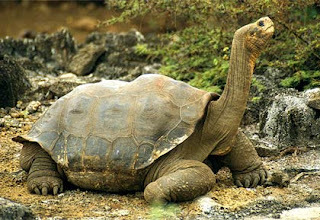 The Galapagos Islands are located 600 miles off the mainland of Ecuador. When Charles Darwin first stepped foot onto one of they islands in 1835 he had come across a biologists dream. I have been lucky enough to have visited the island on two separate trips. I recommend it to anyone with a love for biology. Do it soon because time is running out. Four of the main islands have a population of 17,000 people that keeps growing. As with any population of us human being comes pollution. Worse than the pollution is the introduction of non native animals. Many of the native animals have never had natural predators so they are tame as can be. You can walk up any animal without it running away. 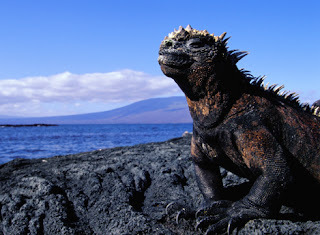 There were many occasions where i wanted to pick up marine iguana's because i knew it was possible but i would have broken a federal law. Now imagine an animal that tame to something as big as me and now introduce dogs. Dogs eat and kill just about anything they can get a hold of. Biologists on the islands are doing their best to protect these animals that are found nowhere else in the world. The biodiversity is astounding. Of course you could see all the finches made famous by Darwin but there is so much more. Blue footed boobies that arch their backs and whistle to the sky during mating rituals. Giant turtles you could literally ride on. The wave albatross that looks more like a hand glider than a bird. The span of diverse life goes on and on. Just don't be too late.